Student loan debt has just reached a new record. As of three days ago, nearly one in five U.S. households has some debt related to student loans. The percentage of U.S. households with college debt doubled from 1989 to 2010 and increased from 15 percent during pre-recession 2007 to its current 19 percent. This represents the largest three-year increase in student loan debt in longer than two decades. And only a bankruptcy attorney can let you know if you qualify for a student loan bankruptcy. Higher tuition costs and the recession-era increase in college enrollment drove more Americans to accumulate college debt. The largest increases occurred in households at both extreme ends of the income distribution spectrum. People with low incomes are enrolling in public universities and community colleges to secure higher-paying jobs, while well-to-do families are spending more on expensive private colleges and universities. This is driving student loan debt higher than ever before. The economy has yet to rebound, causing more students to remain unemployed after graduation. This has increased college debts in lower-income households. As measured by share of household income, the poorest 20 percent of U.S. households bore the highest burden of debt. The highest share of student loan debt, 40 percent, was born by households headed by an individual younger than age 35. Experts do not expect student loan debt to level off until college enrollment peaks. Since 2010, student loan debt has been increasing, totaling $914 billion from April through June 2012. Across all U.S. households, the average amount of outstanding student debt grew from $23,349 in 2007 to $26,682 in 2010. The richest 20 percent of American households owed the largest share, 31 percent, while the poorest 20 percent owed 13 percent. Student loan debt has quickly turned into loan default and has become a reality for far too many graduates due to their inability to secure jobs that earn enough to support repayment. Student loan debt has gotten so high, legislators are again working on new provisions to allow for a more comprehensive student loan bankruptcy program. Student loan consolidation, deferment, forbearance, cancellation, and income-based repayment are designed for students who are unable to repay their educational debts. Student loan bankruptcy is usually the last resort. It involves discharging the loan through a bankruptcy proceeding and can only be accomplished if the borrower can prove that repayment would create a severe hardship. Student loan debt may be difficult to erase in bankruptcy, but if specific elements are met, it may be possible to get a fresh start. 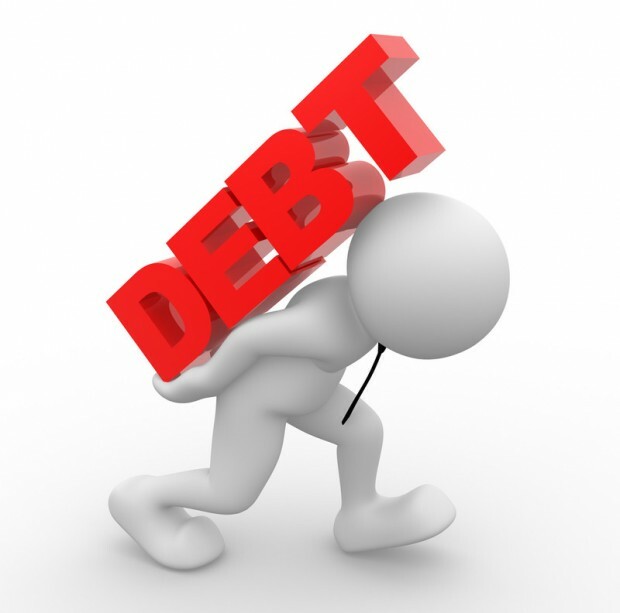 If a borrower does not remain current with payments for nine months, student loan default will occur. The Department of Education may take possession of an income tax refund, garnish paychecks, take Social Security benefits, or revoke professional licenses of a defaulted student loan holder. It may even sue to collect on the default and no time limit is imposed for collection from assets including bank accounts or placing a lien on real property. Student loan debt in America has reached new heights, and sooner, rather than alter, we will have to come to term with a new wave of citizens that need to file a student loan bankruptcy.